Enjoyed by vegetarians, vegans and meat-eaters alike, our delicious MacSween vegetarian haggis is a mix of healthy fresh vegetables, pulses, oatmeal, seeds and spices. Convenient to cook with for a variety of recipes. 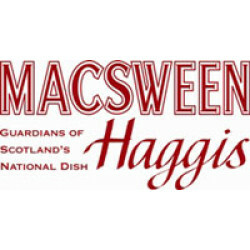 Macsween always use approved, sustainable, high quality ingredients in all of our products. We are proud to confirm that the palm oil within the Vegetable Margarine that is used in our Award-Winning Vegetarian Haggis comes from a sustainable source and has been certified by the Roundtable on Sustainable Palm Oil (RSPO).